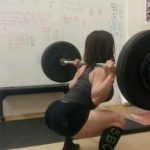 It is no secret that squatting with a barbell can produce some fantastic results. Legends such as Tom Platz and strength coach, Dan John say if you want to get big, just squat with a bar. A lot and frequently. Squats, done correctly with a full range of motion are also known to separate the week willed and the strong. When I first started bodybuilding at the age of 17 I discovered a trend. As I read various bodybuilding and powerlifting magazines that were at the gym I trained at they all said if you want to get big and string, you have to squat. Not with a machine either. With a barbell. It took me a while to buy into it. I was way more attracted to the bench press and preacher curl machine. I was playing football and basketball in high school and my poor excuse was that I didn’t want to get my legs to sore for games and practice. I wish I could take that thought back as who knows how much it could have helped my performance. But I did get smart, eventually. 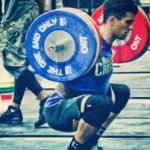 In college when I started bodybuilding, I finally took to the squatting advice. I vowed to squat deep and heavy at least once a week. The results came as all the lifters suggested. Overtime, I experimented with copious amounts of sets, reps, and combo regimens. Looking back almost all of the protocols worked. I was squatting heavy, going deep and pushing my mental toughness. 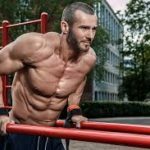 There is one workout protocol that I always seemed to go back to. I was always left completely exhausted and my whole body would swell up with more muscle overtime. 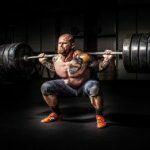 There is no other workout that can put on serious muscle mass and mental acuity, it is a heavy, high rep squat workout. When I was prepping for one of my bodybuilding shows in 2004, I performed this workout twice a month. It was all my body and mind could take, so I just performed some traditional squat workouts during the other leg days during the contest prep. 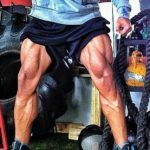 What is this squat workout? Behold the front and back squat program. If you are ready to experience some serious muscle growth, try this workout. Due to its demand on the central nervous system and muscular damage, only perform this workout 2 times a month. Once you shuffle through all four workouts, add weight and repeat. Rack the weight and wait no more than 30 seconds. Now, place the barbell on your back and squat for 8 reps. Rack the weight and rest no more than 5-minutes. This may seem like a long time to rest but trust me, you will need it. Repeat this for 5 total sets. You will add a rep to each set and add 1 extra set from the previous week. This workout will look like this. For the first 2 weeks, perform the same set and rep scheme and then move onto the week 3 workout. You will add a rep to each set and add 1 extra set. This workout will look like this. Repeat for 8 total sets. Start back at week 1 and add use a weight that is at least 10-20 pounds than before. 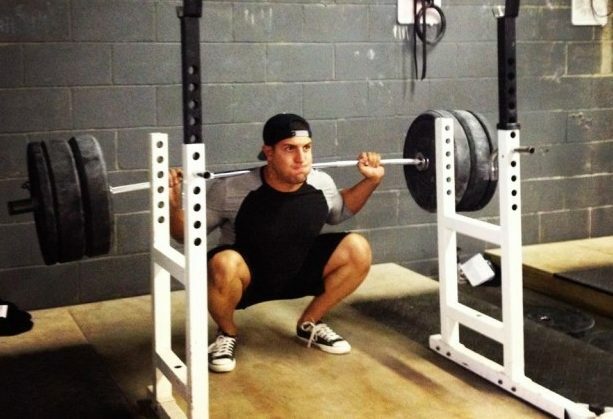 Unless you have an injury or movement issue, you have to squat to pack on the muscle. Prepare yourself mentally and get under the bar. The results will follow.